- The first Caravaners’ Camping Zone was organized successfully. 200 vehicles and nearly 300 RV fans gathered for a memorable experience. 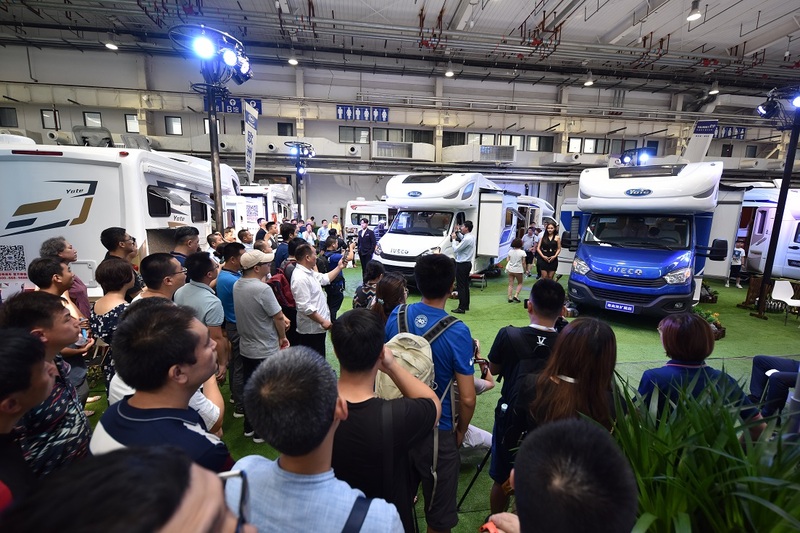 The seventh edition of All in CARAVANING concluded successfully at the Etrong International Exhibition & Convention Center (Beijing) on June 24, 2018. AIC 2018 was held for the first time at Etrong International Exhibition & Convention Center (Beijing). Thanks to the well-established AIC brand awareness in the past seven years, the flow of visitors at the event actually increased. In a total of three days, 22,193 visitors from 20 countries visited AIC 2018, which was a steady increase over the previous year. AIC received 8 visitor delegations including “AIC Yan Delegation”, “CITIC Prudential Exclusive Delegation” and “Pinxiang Vision Delegation”. 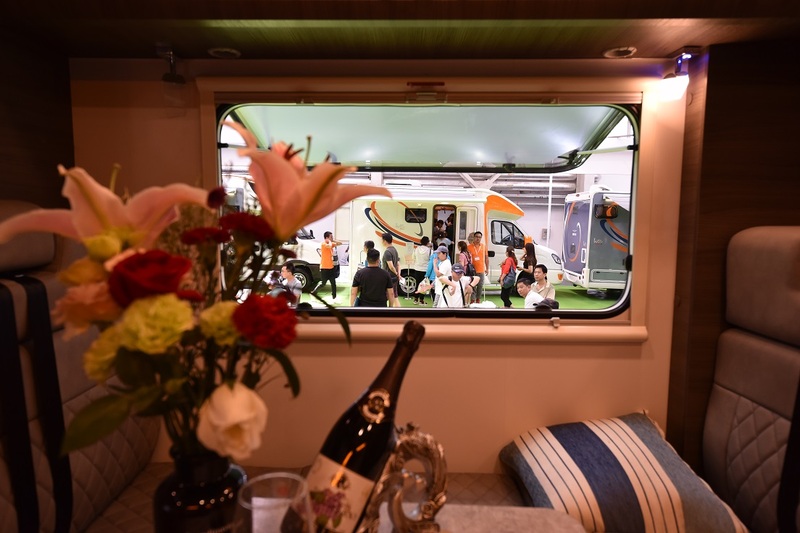 AIC 2018 drew the attention of Chinese mainstream media outlets, including CCTV, Beijing TV, China Daily, China News Agency and Xinhua News Agency that actively covered this highlight of caravan industry. Moreover, media outlets such as promobil and Reisemobil International from Europe also came to report on the event and brought the bustling AIC scene to the world. Industry media outlets including Xcar, Caravan News, FBLIFE, CCRV, dayrv.com and lvyouw.net were present onsite for live reports on the trade fair, bringing latest news updates about AIC 2018 around the clock. Thanks to the excellent exhibition space and facilities of the Etrong International Exhibition & Convention Center (Beijing), exhibitors are able to put on full display of their best exhibits. With eye-catching visual design and brand showcase, exhibitors greatly improved the quality of their presentation, bringing AIC ever closer to its parent show – the world’s leading Caravan Salon from Düsseldorf, Germany in terms of professionalism and the international style. A total of 35,000 square meters of exhibition space both indoors and outdoors witnessed the active and lively business talks between visitors and exhibitors that result in signature of numerous purchase orders and contracts. Many exhibitors made a good start on the first day of AIC 2018 by impressive sales. RV International, Yutong, Jinguan, LiveZone RV, Weihang RV, Huabeihui, Zhongya RV, Yate RV, Broadriver-horse, Yunshang RV, Qingdao Kailei, Sixing RV, Zhongqijingfu, among others have all sold a number of vehicles with remarkable results. The caravan accessories zone and camping zone also have been well received with a great number of visitors and outstanding sales outcome. The exhibitor questionnaire survey indicates that exhibitor satisfaction rate is as high as 89%, further supporting the tremendous business value that AIC brings with its continuous innovation. Speech Corner for release of new vehicle/technology has been bustling with visitors. More than 30 press conferences and exchange meetings have been held here in three days, covering industry topics, technical forums, new product launch as well as experience sharing. Over 1,000 participants have been recorded at the Speech Corner. The multi-angle and all-round conference content helps visitors interpret and understand hotspot topics. Most of the participants expressed that they have “benefited greatly from it and got new ideas”. The B9 Game Zone, which debuted in the outdoor area, received great attention and participation. Despite the hot weather, visitors were highly engaged. Dynamic tactical game, rugby and other ball games took place one after the other with tremendous passion and vitality. AIC CLUB’s family activity zone continued its popularity in previous years. A total of nearly 3,000 families came to AIC 2018 for a wonderful weekend. Through a variety of games and educational programs, these “young caravan camping participants” were inspired and had a sound understanding of RV and its lifestyle. In addition, the Anyi & AIC RV Football Tournament was successfully held on the evening of June 23. The passionate football game adds “flames” to the 2018 World Cup. The colorful concurrent activities of AIC 2018 made it “not only a professional RV trade show” but also a “carnival” for all people. This year, AIC launched its first Caravaners’ Camping Zone. With full support from Green Mall Resort, the camping zone attracted about 300 RV fans with a total of 200 caravans in three days. In addition to visiting AIC, RV fans also experienced camping life in the camping zone, making new friends and sharing fun travel anecdotes. On the evening of June 23, the first “Night of AIC RV Fans” was held successfully, bringing AIC closer to the RV fan groups. This is a key step for AIC, which marks the beginning of a more localized AIC that “connects with RV fans and follows the needs of end users”. Once again, AIC 2018 Exhibitor Banquet this year was presented in the glorious style of an “Oscar Awards Ceremony”. A total of 9 grand prizes were announced. The dinner party first presented the “AIC 2018 Outstanding Contribution Award”, thanking domestic and foreign partner associations and agencies for their support and company for the past seven years. The family that has been travelling the world for five years to 34 countries, i.e. the "RV Princess" won the title of "AIC Caravan Ambassador" this year. Mr. SHEN Zhiping and Mr. XIE Zanfeng received “Fashionable RV Owner” award. The 2nd AIC AWARDS were officially announced, with 18 companies honored as MOTOR HOME OF THE YEAR, 6 companies awarded the title CARAVAN OF THE YEAR and 3 companies receiving MOBILE HOME OF THE YEAR title. All award receivers have successfully introduced outstanding caravans into the market, winning favor from users as well as recognition of the industry. To promote innovation, AIC 2018 launched “AIC Innovation” for the first time this year which is an award honoring AIC caravan accessories exhibitors. 11 companies received this prestigious award. Finally, AIC presented two new special awards, “Best Booth Innovation Award” and “Best Booth Design Award” in recognition of exhibitors' ingenuity in booth construction and brand display. During the dinner, a Sino-German beer contest and a lucky draw also took place in the wonderful atmosphere with live band music. Chinese and foreign friends gathered together to celebrate the friendship and extend happiness to the next exhibition. AIC 2019 - the 8th All in CARAVANING will be held at the Etrong International Exhibition & Convention Center (Beijing) on June 14-16, 2019. 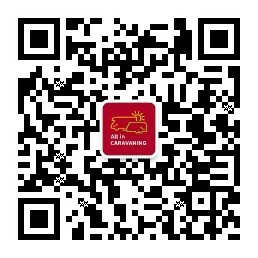 For more information, please scan the QR code and follow our official WeChat account or visit www.aicshow.com.